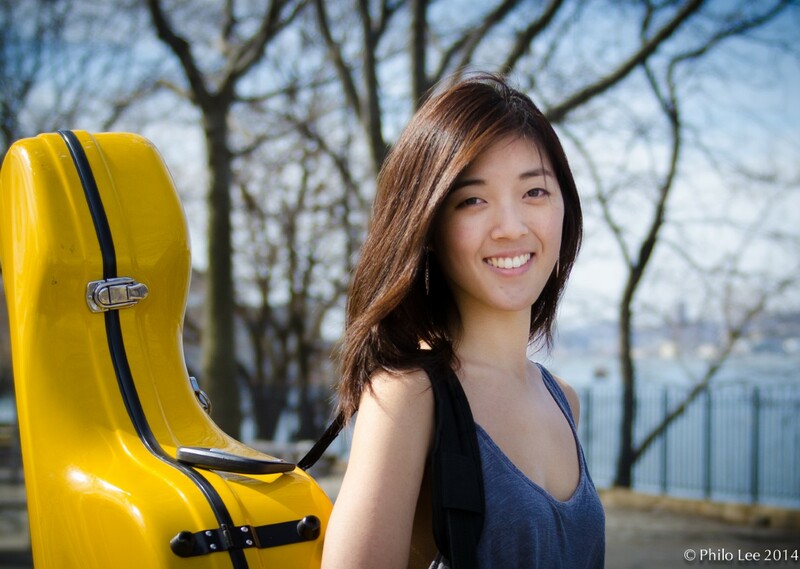 Based in New York City, cellist Vivian Chang has established herself as a versatile musician. Prior to her arrival in Sicily, she will be performing in her first season with the 2018 Spoleto Festival USA Orchestra. She is a member of the New Haven Symphony Orchestra, Sullivan County Chamber Orchestra, Washington Heights Chamber Orchestra, and the Uptown Philharmonic and has also performed with the Chamber Orchestra of New York. Past engagements have allowed her the privilege of performing in venues including Carnegie Hall’s Weill Hall and Perelmann Stage, the Millennium Stage at the Kennedy Center in Washington D.C., New York Fashion Week, and the Joyce Theater. As a chamber musician, Vivian has performed as a Resident Artist of the Nassau Chamber Music Society, Sullivan County Chamber Orchestra’s chamber music series, and is a past Fellow of the Takacs Quartet’s String Quartet Seminar. Recent projects have led to collaborations with RIOULT Dance NY, TACTUS ensemble, and Composers Collective of New York as well as appearances with music series including “What Makes it Great?” With Rob Kapilow, Concerts on the Slope, Old Wood New Sounds, Concerts for Hope, and Gifted Young Artists. In the last few years, Vivian discovered a passion for teaching. She served previously as a faculty member of the Distance Learning program championed by the Manhattan School of Music which brings lessons to students in rural and musically remote areas and has participated in outreach initiatives created by the New Haven Symphony Orchestra and Nesin Cultural Arts. Today, she maintains a private studio. A native of Portland, Oregon, Vivian moved to the Northeast to pursue her musical studies at the Manhattan School of Music from where she recently graduated with Professional Studies Certificate under the tutelage of esteemed pedagogue Philippe Muller. There she also earned her Bachelor’s and Master’s degrees while studying with Julia Lichten and Fred Sherry while working extensively with Alan Stepansky and Qiang Tu for orchestral performance training. She has participated in masterclasses with Robert DeMaine, Bonnie Hampton, David Geber, Min Cao, Robert Mann, Peter Salaff, among other artists. Outside of the Manhattan School of Music, she was awarded full scholarships to study and perform at Music Academy of the West, Aspen Music Festival and School, Atlantic Music Festival, and Colorado College Music Festival.